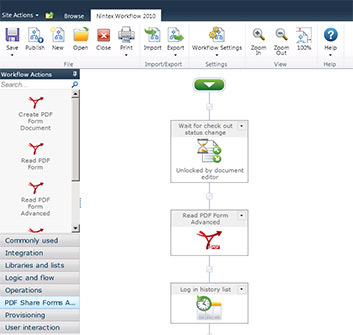 Today PDF Share Forms™ released new version of its tool for PDF form collaboration in Microsoft SharePoint® on-premise. New version expands the product versatility and support for Nintex Workflow® and pre-developed 3rd party PDF/XFA forms. PDF Share Forms Enterprise delivers possibility to reuse existing forms in SharePoint® environment. For those customers having traditional deployments of SharePoint® on premise PDF Share Forms Enterprise provides the most complete toolset and unprecedented level of PDF integration. “By adding Nintex Workflow support we are extending the workflow usage scenarios. Our customers now are able to integrate PDF form support to their existing or new workflows, combine it with Nintex Forms, use actions for creating, reading and writing PDF forms”, – said Eugene Ostapkovich, Chief Technical Officer of PDF Share Forms LLC. Newly integrated support for pre-developed 3rd party PDF/XFA forms opens doors to collaboration with legal and governmental documents. “If you have strict forms and rules, when change of form itself is not possible or acceptable, you’re obliged to use immutable forms. 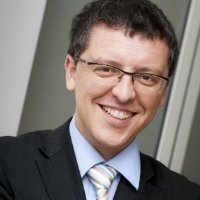 We are happy to announce that with new version of PDF Share Forms Enterprise, our customers are now able to automate filled-in form collaboration in SharePoint even if it is a government form”, – said Dmitry Ivahno, PDF Share Forms CEO. Latest version also supports digital signature solution from Arx CoSign®. Thus PDF Share Forms Enterprise is the most technologically accomplished tool for PDF form collaboration in SharePoint on-premise. In due course PDF Share Forms OnDemand is most exciting cloud based tool for PDF form processing in SharePoint® Online. PDF Share Forms LLC is California based privately held company. Our mission is to provide to customers the most completed and integrated solutions right for their needs. By using PDF Share Forms products our customers reduces their spending on routine hand manual procedures significantly.